Bangalore is one of the most famous cities in India, well- known as a IT hub. Most IT companies; both local as well as multi- national ones have their headquarters situated in this city. Bangalore is not only a technological centre but also a cultural one. The local cuisine, dance, temple architecture and natural beauty are some of the many aspects that draw tourists to this destination. The famous Lalbagh botanical gardens, Bangalore Palace, HAL museum, St. Mary’s Basilica, Vidhan Soudha, and local temples are some of the most popular sights in this city. Bangalore is strategically located and well- connected to many world- famous tourist attractions within South India. For those looking to explore this fabulous city on a shoestring budget, here is a list of cheap hotels in Bangalore that are clean, comfortable and yet easy on the purse strings! This hotel is located at Anil Kumble Circle and is a short walk away from MG Road, St. Marks Road, Commercial Street and Brigade Road; the shopping paradise of Bangalore. Travelers can choose from a variety of comfortable air conditioned single as well as double occupancy rooms that are equipped with modern amenities. Transport and access to a host of fantastic eateries ranging from local street fare to high end restaurants and pubs is very quick and easy. For travelers who intend to move around and wish to explore Bangalore to a considerable extent, then Hotel Bangalore Gate is one of the most strategically located hotels in Bangalore, right near the heart of this city at Mysore Bank circle near the KG bus station. The connectivity that travelers can avail from this hotel due to its close proximity to the local and outstation bus hub is excellent. Free Wi- Fi, spacious rooms with modern amenities and air conditioning and a restaurant serving delectable local cuisine are the highlights of this hotel. Situated a little further off at White Field, away from the regular tourist areas of Bangalore, this inexpensive hotel offers spacious rooms with contemporary furnishing, a kettle for tea and coffee, air conditioning and Wi- Fi. There are a host of malls nearby and transport can be easily arranged for those keen on local tours. This hotel is certainly one of the best cheap hotels in Bangalore due to its peaceful location away from the hustle and bustle of the city and its top- quality services offered to guests. Located near Bannerghatta Road, a few kilometers away from the famous Bannerghatta National Park; this hotel has spacious single and double occupancy rooms, air conditioning, airport and railway station transfers and a travel desk to help guests plan their local travel. 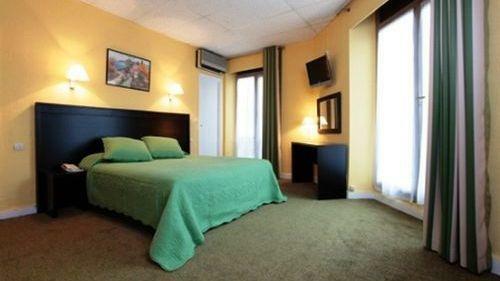 One can easily access the popular tourist areas and malls from this hotel. This hotel is situated on Infantry road; close to the popular shopping areas of Bangalore like MG Road and Brigade Road. Free WI- Fi, cosy beds, clean rooms, a travel desk to arrange local transfers and tours for guests and laundry service are the highlights of this hotel. This is one of the conveniently located cheap hotels in Bangalore. These pocket- friendly cheap hotels in Bangalore are excellent options for those looking to soak in the sights and sounds of this marvelous city on a budget but do not want to compromise on comfort.